Appropriate for an indoor or outdoor use, the beam of the PMT is built on an I beam profile. Its light weight gives it great flexibility for rotations of 270°. 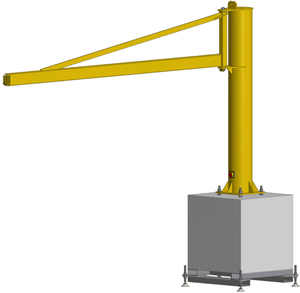 The structure of this jib crane is suitable for the optional installation of a hoist motor direction.